Rechenka's Eggs, Pysanky Egg Designs & a Multiple Meanings Freebie! Today, I'm going to be sharing a fun activity that is perfect for this time of year and incorporates some great literature, art and even math! This time of year was always testing season when I taught third grade. 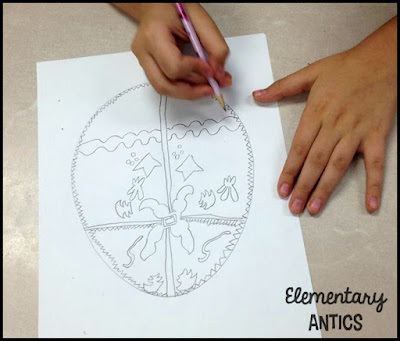 I really liked to find some kind of educational, but fun activity for my students to do, to sort of, have a break and get a chance to use their artistic talents. I love Patricia Polacco books (who doesn't? ), so we read Rechenka's Eggs as a read aloud. If you've never read this book before I'll give you a little summary: Babushka is known all over for her beautifually painted eggs. One day Babushka sees and injured goose and rescues her. She names her Rechenka. 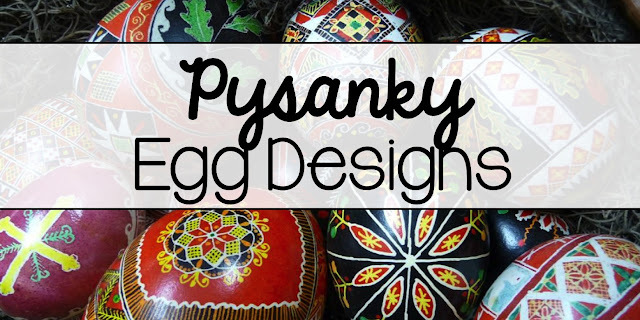 One day Rechenka accidentally knocks over a basket of Babushaka's decorated eggs and breaks them all. The next morning Rechenka lays Babushka a beautifully painted egg. The next day, I tracked down an old Reading Rainbow video. 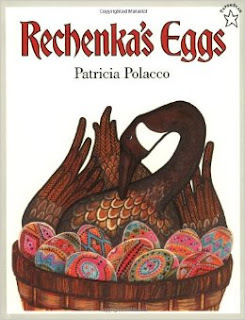 This Reading Rainbow is awesome because the featured story is Rechenka's Eggs and there is an interview with Patricia Polacco and she is actually explaining and making a Ukrainian painted egg. 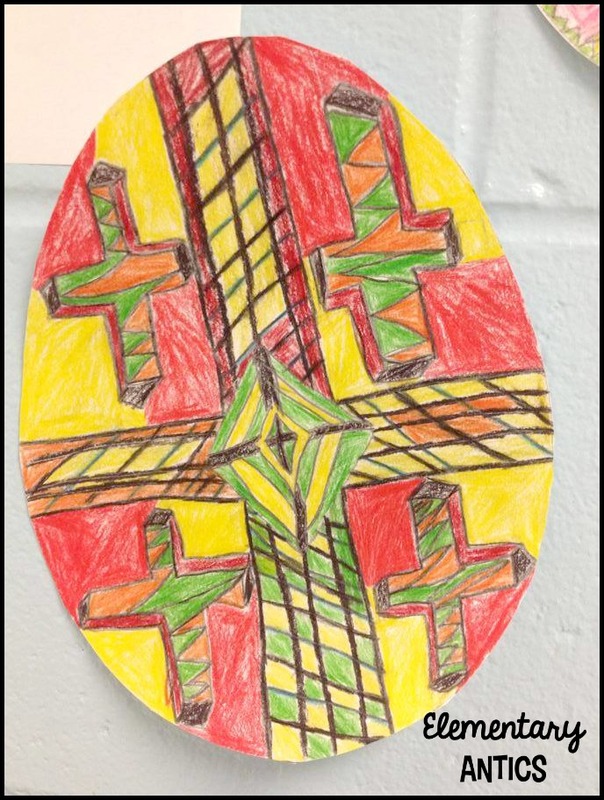 It's really incredible the artistic complexity of this Ukrainian folk art. The kids LOVED watching this and really "got it" and why it was such an art. I definitely recommend watching this if possible. I *think* you can probably Google it and find a segment online. (Although, I think RR is really cracking down and I wasn't able to find it anywhere online right now). 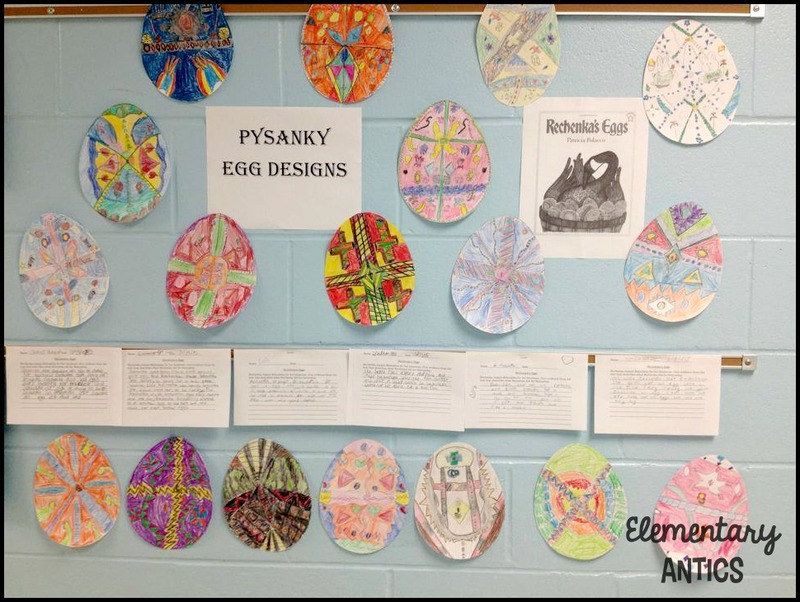 We also looked at pictures of many different Pysanky eggs on the web and discussed the symmetry that many of the designs had. 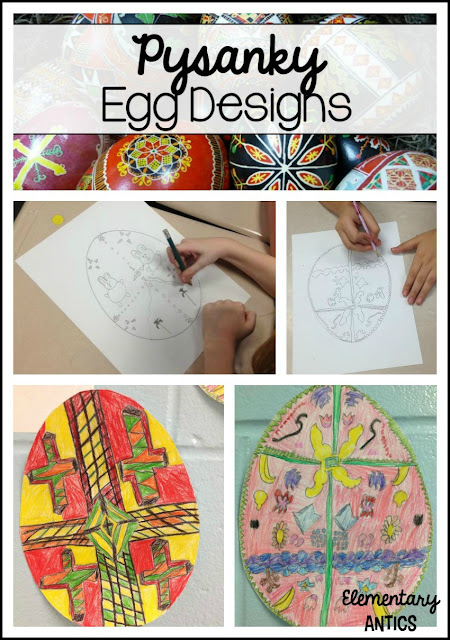 After doing our mini research on the Pysanky eggs I gave each kiddo an egg template and let them start designing. (Click here to get a simple egg template I used.) 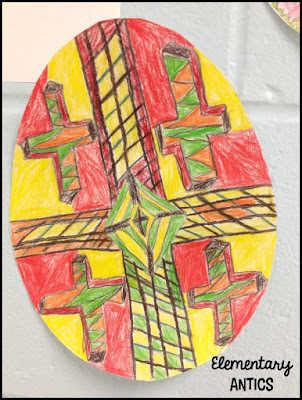 They used colored pencils to color in their designs. I loved seeing all of their creativity shine through in the coloring and designing of their own eggs. 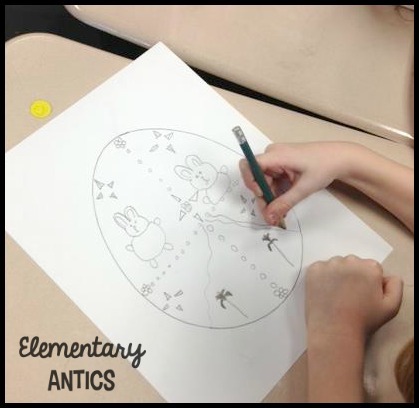 Along, with this fun spring idea I also have a fun FREEBIE for you to use in your classroom. This Multiple Meanings Match would be a great center for 2nd or even 3rd grade. Click on the picture to grab this in my TpT store. 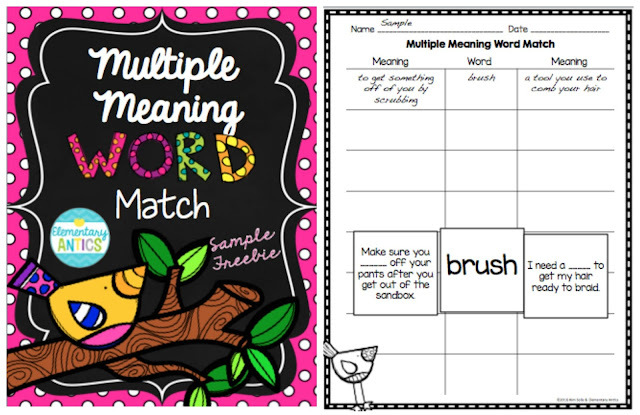 This Multiple Meaning Word Match activity or center goes fantastic with my Spring Literacy Centers! 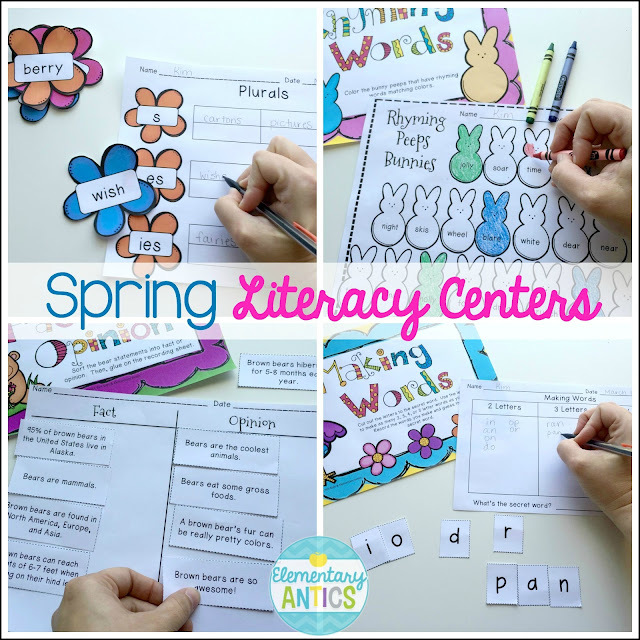 These 5 springtime themed centers include: Nouns, Verbs, Adjective sort, Making Words activities, rhyming words, plurals and fact & opinion. Find them in my store here or click on the picture below. This is definitely a book and activity that my daughter would LOVE! Thank you for sharing! What a great book to add to our reading list for spring. Thank you for sharing this spring idea. Thanks for hosting and sharing some great ideas. 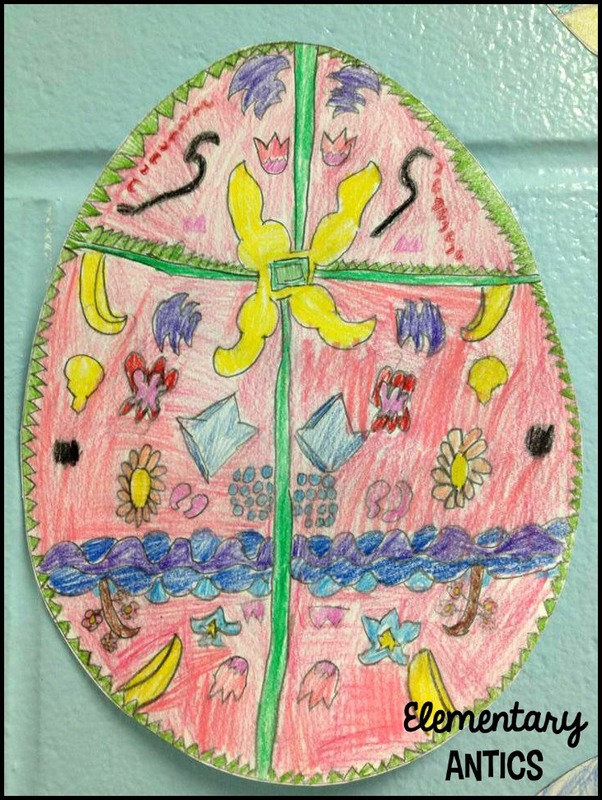 The eggs are beautiful and my students will love the multiple meaning word match! What a beautiful idea! Thanks for being a great hostess! Thanks for organizing this fabulous blog hop. I love your ideas....especially the eggs. Patricia Polacco is my favorite children's author. You integrated a great spring activity to complement Rechenka's Eggs. I know the kids will love this. Thanks for sharing! Thanks for hosting this hop! So many great ideas! My kids are making their eggs as I type this! They loved seeing your examples and the variety of images they saw. Thanks for sharing!